This giveaway is now CLOSED. Thanks so much to our wonderful sponsor MaineLobsterDirect.com! We look forward to working with you again! The winner has been notified and upon confirmation, follower name will be posted both here and on our homepage. Remember: There are great giveaways active on the upper right hand side of the page! They say the way to a man's heart is through his stomach, but I say the way to anyone's heart is through their stomach! Mine included! And as a life long seafood lover many the special occasion has been celebrated with 'fruta de mare', so I thought why should Valentine's Day be different, what better way to celebrate love day than with a special surf and turf and dinner for two? It's February and our annual countdown to 'L♥ve Day' is here! We started you off with 'wine', and so I figured the next logical step is the 'dine' part! You can be a frugal foodie, and still eat FAB! Want a complete Lobster Dinner? A Lobster Dinner with your choice of Appetizer, choice of Chowder, Lobsters and Shellfish and choice of Dessert - all from Maine? The Nor-East Feast Dinner includes: live Maine Lobsters, fresh Maine Steamer Clams, Shrimp or Mussels, Clam Chowder or Lobster Bisque, fresh Vegetable, and choice of your favorite Cheesecake from the dessert cart, Butter, Lemon, metal shell cracker(s), seafood forks and lobster bibs are also included. All is packed with care in a heavy duty reusable enameled Lobster pot. Price includes FedEx Delivery! I reversed the order and had the Lobster Bisque later in the day and greatly enjoyed it. With this cold weather it really hit the spot. So you ask, What about me? Well I'm very glad you asked! 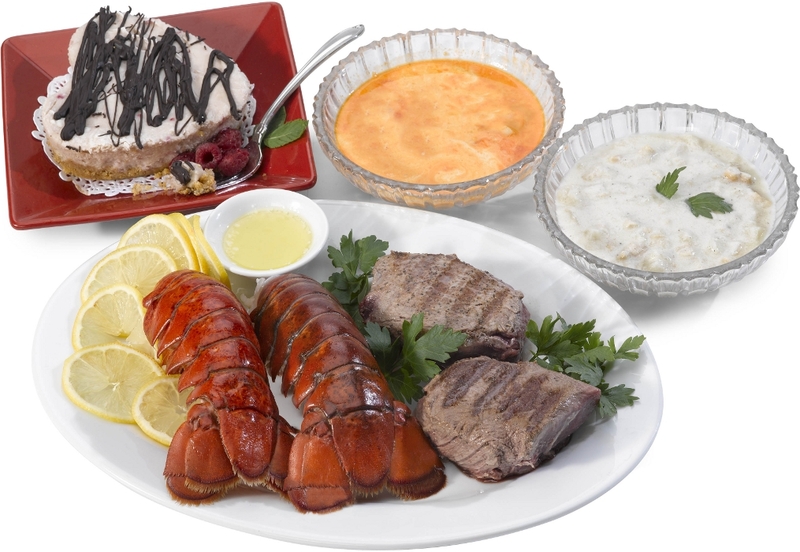 Ƹ̵̡Ӝ̵̨̄Ʒ - Easy to prepare, the Sweetheart Surf and Turf comes with Two 6-7 oz. Maine Lobster Tails, Two six ounce Filet Mignons and your choice of Maine Lobster Direct's award winning New England Clam Chowder or Lobster Bisque, and Jewell Island special Heart-Shaped White Chocolate and Raspberry Cheesecake. Spend less time in the kitchen and more time enjoying this romantic meal for two! Ƹ̵̡Ӝ̵̨̄Ʒ - It's a taste of Maine right at your doorstep! - Seafood lovers know that it doesn't get much better than seafood from Maine. And if you can't get to Maine yourself, this is like having Maine come to your door! It just doesn't get better than this. It was seafood dinner nirvana! 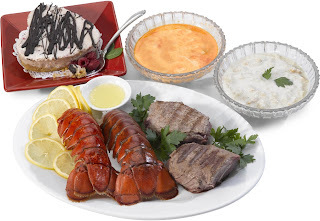 Ƹ̵̡Ӝ̵̨̄Ʒ - Taste, Presentation and Nothing Left To Chance - With a burst of the sea in each bite, and excellent packaging/presentation, what you will also appreciate about Maine Lobster Direct is that they literally include everything you could possibly need! I'm a Lobster Lover and have my own cracker for the shell, but the ones included in my package were WAY better than the set I own! Ƹ̵̡Ӝ̵̨̄Ʒ - And a cherry on top! - in the form of a moist and delicious Cheesecake Dessert! Ƹ̵̡Ӝ̵̨̄Ʒ - WIN IT! - Ascending Butterfly and our friends at MaineLobsterDirect.com want you to win a Sweetheart Surf & Turf Dinner for two! Don't you just ♥ MaineLobsterDirect.com? I know I do! (2) MANDATORY entry- Visit our friends at MaineLobsterDirect.com and LINK us to another item that they sell that catches your eye! REMEMBER: You CANNOT post a link to the The Nor-East Feast Dinner or the Sweetheart Surf & Turf Dinner for Two or the entry will be automatically disqualified. Ƹ̵̡Ӝ̵̨̄Ʒ - Like Maine Lobster Direct on Facebook and don't forget to tell them that Ascending Butterfly sent you HERE (Since they are not on twitter yet, I would really appreciate you showing them some extra facebook love!) - Remember to leave the link to your facebook post as your comment - see instructions above for how to get a link on twitter, it applies to facebook too! this site is absolutey amazing. Will use it even if i dont win most likely. i entered the NYC wine tasting giveaway! I want this. I'm starviong. Drool. I follow ascending butterfly on fb as maurine a.
I follow you on networked blogs as maurine a.
the smoked atlantic salmon looks good. Haddock fillets are a staple in northern NY!! Love them. this is a giveaway that has had my mouth watering from the first moments! I have ordered lobsters thru mainelobsterdirect and they really are the best! i like Maine Lobster and told them you sent me. Mary Jaco. Like Maine Lobster Direct on facebook and wrote on their wall. I like Maine Lobster Direct and facebook and I told them you sent me. I entered the Energy Muse Freedom Beads Necklace Giveaway! bringhamsweeps (the goat!) follows you on GFC. My eye was immediately drawn to the desserts link! :)Cheeeeesecake. Like ML on FB and posted some AB love! I would also like this http://www.mainelobsterdirect.com/Catalog/lobsters.cgi/88004?id=xnBsXu8p&mv_pc=13. I am a GFC follower. The King Crab legs caught my eye. It is my son's favorite meal. I like the Jewell Island Cheesecake! commented on groundhog day post. i hope winter will be over soon! entered Energy Muse Freedom Beads Necklace Giveaway! 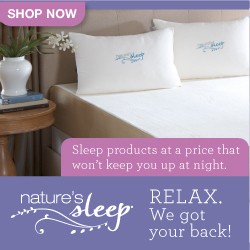 Ends 02/04! I entered to win the Energy Bead Necklace. I like the smoked rainbow trout. It is great to make smoked fish dip . entered Energy Muse Freedom Beads Necklace Giveaway!